Find the man hiding in the woods! Somewhere in this peaceful woodland scene, a man’s face is lurking. See if you can find it. This entry was posted on Tuesday, May 23rd, 2017 at 4:54 pm and is filed under simple pleasures. You can follow any responses to this entry through the RSS 2.0 feed. Both comments and pings are currently closed. 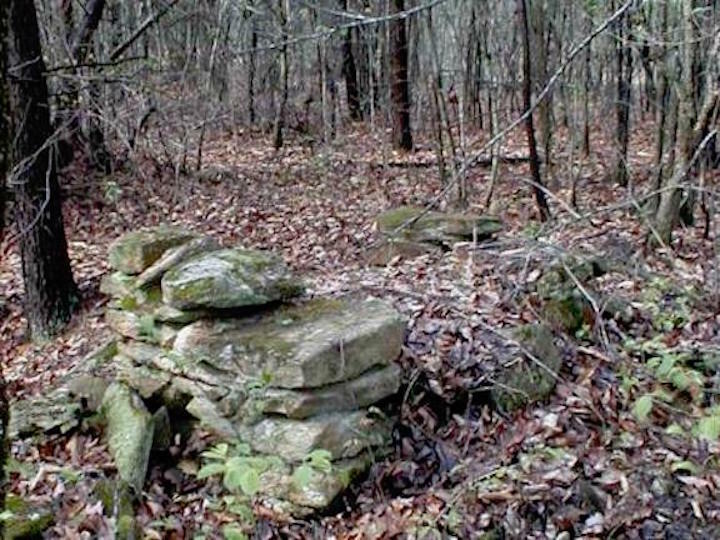 8 Responses to Find the man hiding in the woods! I clicked to enlarge….. still couldn’t find it. Concentrate on the right hand edge of the lower right hand quarter of the picture. HUH? I found a small green face reminiscent of the Greek mask of tragedy in lower LEFT quad, not far from the quad’s RIGHT edge. Looks like somebody is caught between 2 big flat rocks, with only his head sticking out. Just in case we are using different conventions, what I call the “lower left” quad could also be called the “southwest” quad. Yikes! I never would have noticed that if you hadn’t pointed it out. Got it, but only after your clue.